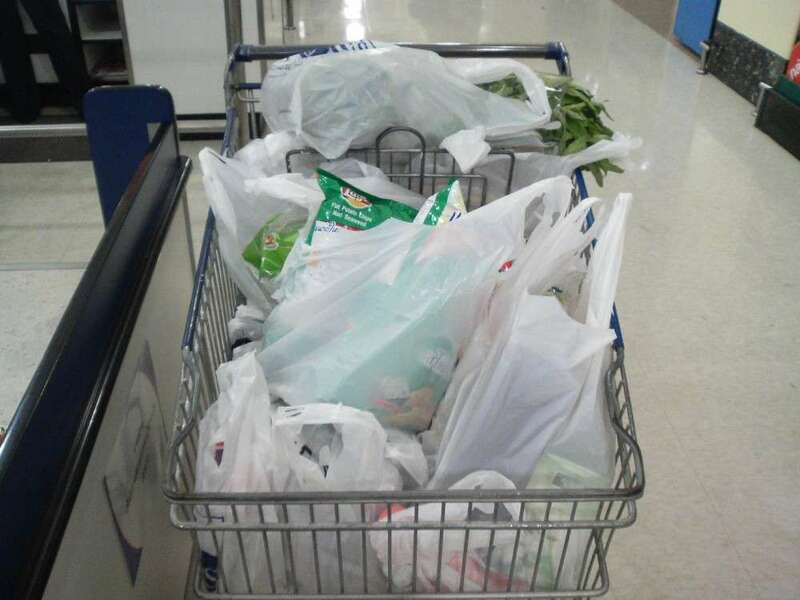 ALL business establishments and vendors in Cagayan de Oro City are now using reusable "eco bags" or paper-based packaging in compliance with the ordinance prohibiting single-use plastic bags, the head of the City Local Environment and Natural Resources Office (Clenro) said on Wednesday, January 16. Clenro chief Armen Cuenca said that since the implementation of City Ordinance No. 13378-2018 just two weeks ago, their monitoring teams have noticed that business owners are now careful not to violate the said ordinance otherwise they will face penalty. "We have now a 100 percent compliance (rate). Just today some already paid their penalties," he said, referring to one of the big malls in the city which was caught by Clenro enforcers issuing plastic bags. "Each plastic bag has a penalty of Php3,000. The violator (the mall) paid Php12,000 for four plastic bags," he said, adding that it was so far the highest amount they fined to a business establishment so far. He also said that they were able to penalized a local store in far barangays, emphasizing that their office staff are going the rounds even on areas considered away from the city centers. Meanwhile, even the academic sector welcomed the enforcement of the city ordinance, otherwise known as the "Integrated Eco-biological Solid Waste Management Ordinance," that it has opened possibilities of integrating solid waste management and environment-based researches to be applied, or undergo further study. Dr. Judy Marie Zoleta, faculty and researcher of the Department of Natural Sciences in Liceo de Cagayan University, said the ordinance is a huge step towards attaining sustainable development from the standpoint of environmental health and safety. "Eliminating plastics can protect the environment, prevent people from getting adverse health effects as a result of burning plastics, and prevent aquatic organisms from getting entangld in it or ingesting it," Zoleta said, who has made five researches published in scientific journals relating to water and air pollutants. Kris Galarpe, a faculty and researcher of University of Science and Technology of Southern Philippines, said that the implementation of the ordinance has put the city in a position towards promoting proactive environmental behavior, but still underscores the importance of the people to be disciplined for not using excessive amounts of plastics. "It's not plastic problem, (but) it's (the) people," Galarpe said, who is studying her doctorate in Environmental Science at the University of the Philippines - Diliman, and has co-authored at least 36 journals in 2018. "It's hard to educate millions of (people on) plastic disposal management, who are also unwilling to participate," she added. She also said that officials and concerned individuals or groups must socially assess the city, too, as some problems may come from the city government due to inability to provide waste facility to process plastic wastes. But according to Bencyrus Ellorin, chairman of the cause-oriented group, the Pinoy Aksyon for Governance and Environment, related projects are underway, and that city barangays are being encapacitated on Material Recovery Facilities (MRFs). "Kining (this) plastic regulation ordinance for us is a good start to more stringent regulation of plastics. Naa ni siya mahimo nga kaayuhan (It can bring benefits) definitely, but di ta mag mata og morning nga masulbad ang problema sa plastic niini (but we don't just wake up one morning thinking that it can solve the plastic problem overnight) and then blame government if it fails," he said. Cuenca said that they are welcoming suggestions and researchers from the academic sector, while Ellorin said that their organization can be used as a platform for dialogue and advocacy between the academe and local government units when it comes to plastic and solid waste management as a matter of public management and governance. Other local government units in Northern Mindanao region also have their way of reducing plastic use. In Malaybalay City, Bukidnon, a project called "plastic densifier" was operated to recycle plastics. The Department of Science and Technology in Northern Mindanao (DOST-10) awarded the project as the best Local Grant-in-Aid (LGIA) in the region in 2018. The densifier is a one-ton bioreactor, the local government unit's strategy to solide waste management efficiency. DOST-10 communication officer Julie Ann Baculo also mentioned that in the town of Impasug-ong, Bukidnon, the local government initiated a program for out-of-school youths to develop and produce charcaol briquettes made from waste materials. "We also have a project that converts biodegradable wastes into charcoal briquettes. The briquettes can substitute the use of firewood as fuel. Equipment will be provided this year to LGU-Impasug-ong," she said.